We have a leading organization in offering a supreme quality assortment of Laboratory Vacuum Pumps to our customers. The offered products are tested in terms of quality to deliver only defect less range from our side. 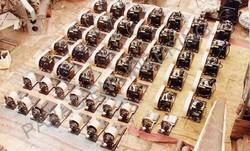 Extensively used in printing, automation and other engineering industries, these pumps are highly demanded. We offer good quality vacuum pumps, high vacuum pumps, indutrial pumps in different range, features and models . stroke is adjustable & graduated in cc.upto 500cc motor coupled Oncastor wheel base. Respiration Pump: Miniature respiration pump 50 cc. Calibrated with stroke arm and geared motor mounted on metal base with casters. Laboratory Pump offered provides for optimum functional support and offer superior control over wide variety of laboratory applications. These chemically-resistant pumps allow easy and convenient handling of aggressive solvents while offering strong flow as well as precise vacuum control support. 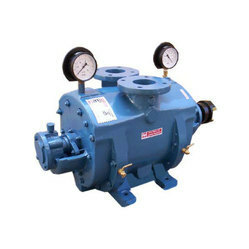 We are offering Titronic Pump to our clients.